Welcome everybody to the first chat recap! 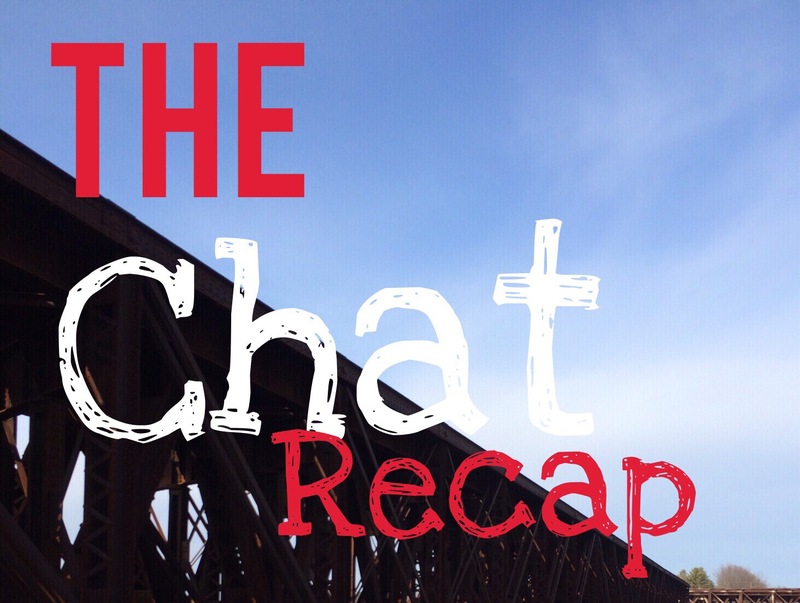 Now I can’t say I will continue to post such each time there is a #runchat, #bibchat, #bqchat, #racechat or alike, but tonight I will share some of my thoughts brief of the two chats I participated in: Fitfams’s #racechat and BQChat’s chat by the same name. Of all the running chats I participate, this one #racechat is usually low on enthusiasm and participation which is somewhat strange since they have a larger following than most. In any event, I get some good info out of each of these from Chats from FitFam and tonight was no different. Brands favored by the group included Brooks, Mizuno and some I have not heard of before. My choice was Under Armor but I also mentioned that Russell does have durable and comfortable clothing. When buying apparel, comfort and price seem to be the number one choice. Me? I wools share such sentiments! Also, nonchafing type clothes are equally important. Shoes purchased in a store but apparel for the most part purchased online. Most looking for good deals! When searching for advice, 90% of the group did it independently online while I seemed to be the only one who went to the store for advice. In terms of an item I would like to try but afraid to is “wireless earbuds.” But as one shared, the fear of them not working is the reason not to get them…especially during a race! And the one piece of apparel that I would tell anyone to buy is the Hoka One One Clifton 2s! Ok, so 10 questions of #racechat summarized 6 bullets. Into #bqchat! Tonight’s #BqChat was a lively one and lots of great information came out of the discussion. I was even mentioned as a “great chatter!” Much around the race itself versus the apparel of #racechat’s feed. Here are the shorts of the discussion. Why do I keep pushing myself! Basically when I can run a half marathon easily, why bother going through the pain of a marathon? Simply put: The challenge! For information on running, most cited blogs and little known sites for great information over the major running sites. I would agree! Best information comes from unbiased sites! Oh, forgot to mention that my favorite food for running is “Onion Soup Chicken!” Other interesting options include stirfry, Sushi, and pizza. Unique: salmon. Warming up and down created a stir as some did a ton of this while the likes of this author only stretch before and little afterward. I like the 2 minute cool down as my go to closing strategy after a long run. My shameless plug was this blog and the fact that I joined #Earthsthon. A bunch posted upcoming races…another posted a pic of their dogs and yet another has fought through shingles to run today! So there you have it. If you want to see all my responses to today’s chats, visit my Twitter handle at bmacrunning. Previous Post #Earthathon here I come! Next Post Recapping the Chat…All about Compression!